The Michigan House of Representatives is poised to pass a package of bills targeting teacher education programs in the state. If these bills move forward, teacher education in the state would be damaged, perhaps beyond repair. • House Bill 5598: This bill would require all teacher ed faculty to complete 30 hours of subject-specific continuing education per year. "Faculty members must demonstrate completion of these requirements to the satisfaction of MDE". Collegiate faculty are typically the persons who provide this instruction, so it is unclear how this continuing education requirement would be implemented, and by whom. Further, collegiate faculty already engage in significant professional development by attending research conferences and other events throughout the year--it is unclear how this requirement would impact those events. 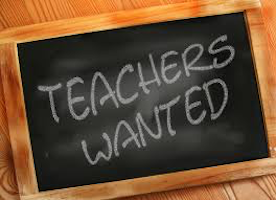 • House Bill 5599: would link teacher ed program approval to the effectiveness of their graduates in the schools by instituting a "warranty" program. While this may sound like a good idea in theory, it equates the process of education to that of a business transaction. A warranty may make sense when one purchases a car, but early career teachers are not commodities, and teacher prep programs are not automobile manufacturers, or car dealerships. Evidence suggest that most teachers who struggle in the classroom do so as a result of a lack of adequate administrative support and mentorship--not inadequate preparation. Further, the MDE has stats that indicate fewer than 1% of MI teachers receive a rating of "ineffective" each year--suggesting that a "warranty" program like the one here may be a solution in search of a problem. Finally, while it's seductive to connect a young teacher's effectiveness in the classroom to the quality of instruction that novice teacher receives in their undergraduate education program, the connection here is much more complicated and complex than that. 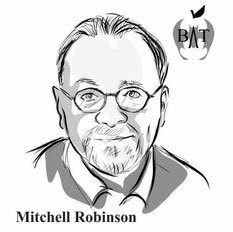 Just as K-12 teachers should not be evaluated based on their students' scores on standardized tests (https://theconversation.com/can-it-get-more-absurd-now-music-teachers-are-being-tested-based-on-math-and-reading-scores-47995), teacher educators should not be evaluated based on their students' effectiveness upon entering the profession. Education is a relationship, not a business transaction--and conflating the two does a disservice to all involved. • House Bill 5600: requires that all cooperating teachers who agree to work with a student teacher receive a stipend of $1000. Unfortunately, the bill does not mention where these funds would come from, and given the size of most higher education department budgets this requirement poses a significant challenge. For example, the program I teach in produces roughly 30 graduates per year, with a budget of around $3000. This bill would add an additional $30,000 per year to our responsibilities during a time when budgets across our university campuses are shrinking, not expanding. If the legislature wants to provide additional funding to meet this requirement, this would be a wonderful way to recognize the contributions of cooperating teachers. As it currently stands, this is simply another unfunded mandate. The irony of the legislature advancing this package of accountability measures, while at the same time approving new alternative routes to certification in the state (see: http://progressive.org/public-school-shakedown/behind-michigans-teacher-shortage-a-manufactured-crisis-180426/) is beyond rich. If passed, this legislation will only hurry the division of the state's teacher workforce into two castes--one, a group of hurriedly-prepared and hastily-certified edutourists for the state's charter and private schools, and an increasingly small and dwindling number of hyper-scrutinized and continuously-monitored graduates of traditional teacher preparation programs. Neither is a pathway leading to a sustainable vision of professional success. I suspect that any objections from teacher educators to this package of bills will be characterized by legislators as our fear of being "held accountable." Just the opposite is true--all teachers welcome true accountability. None of these bills, however, offer real accountability. They are nothing more than a bait & switch, offering punishments and threats under the guise of "higher standards" and "enhanced accountability." Michigan is fortunate to be the home of some of the nation's best teacher education programs. The state's legislature, in their misguided attempt at micromanaging the work of these programs, is poised to destroy one of Michigan's last remaining treasures. Let your representative know that you support the state's teacher education programs, and tell them to vote "NO" on this legislation.